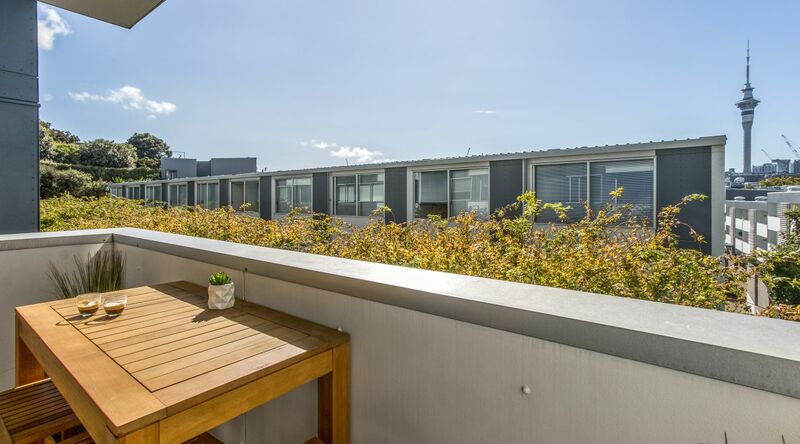 Sunny and peaceful living in your stylish and fully equipped place on the city and Auckland Waterfront fringe. Morning coffee on the sun drenched balcony with Sky Tower views. Plush new carpet throughout with triple stacker doors flooding the place with natural light. Super comfortable BoConcept couch, extra long and wide to lie out on. Fully equipped chefs kitchen with full size fridge, Nespresso and complimentary capsules. Cycle parking in the front lobby. Please tick the above box! This is your place. In the perfect location. Complete with a secure covered carpark. Our apartment is set up on the edge of the city centre for you to walk in and feel right at home. Even pets are welcome here*. The apartment and complex is pet friendly, and we can provide details of dog walker services who can even check in on your pet during the day too if you are not about. *To bring your pet you must have at least 2 Airbnb reviews & arrange in advance. Please note a surcharge applies. Such an easy apartment to live in. Come home, walk across the plush new carpet and sink into the gorgeous BoConcept couch, long and wide enough for a good stretch. 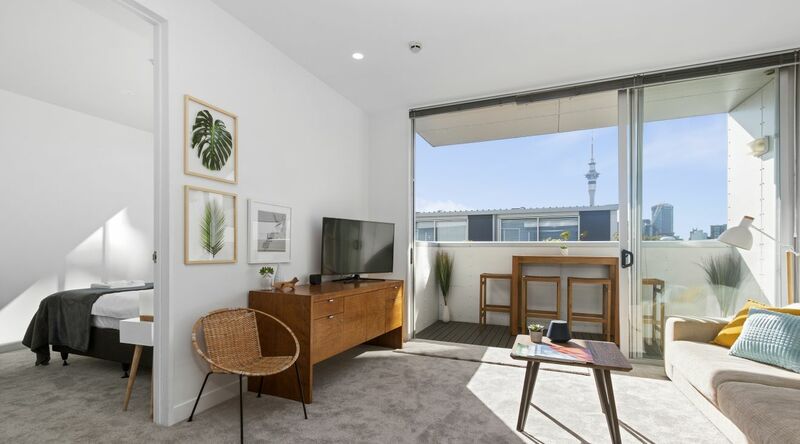 While you are there take in the view across to the city and Sky Tower or enjoy Netflix on the Smart TV or link up to the to the discrete bluetooth speaker and you’ll have all the sounds you need for a great night in. The Wifi is connected to an unlimited high-speed 100 Mbps fibre internet connection. Walking through the door you get an immediate sense of light and space. The high ceilings and floor to ceiling ranch sliders flood the place with natural light. Sitting on the balcony you look over the greenery to a view of the Sky Tower. The city lights make it particularly special at night for alfresco dining or a wind down drink. It’s a peaceful spot. Here you are on the CBD fringe with all the life the city and Auckland waterfront has to offer just a short walk away. But with leafy Victoria Park separating you from the city bustle, you have your own quiet space. Your apartment is on the top corner means there is no one above to disturb you. Although we are pet friendly, no one wants reminders of someone else's pet. We do a super detailed clean each time a pet has stayed with us to ensure the place is fresh and spotless for the next guest. For entertaining, you have a full size fridge for all your drinks and the cupboards are fully stocked with all the glassware and serving dishes to be the perfect host without even trying. If you want to cook there is a fully equipped kitchen complete with Brabantia cookware and chef knives. A NZ owned large supermarket is 100m away and if you want to pick up fresh from the boat, the Auckland Fish Market is 1km away. The table seats 4 comfortably for dinner with views of the Sky Tower. Or if you prefer al fresco dining for 4 under the covered balcony just that little bit closer to the city light view and big dusk skies. We know just how important sleep is when away from home so the bedding is highest quality Fairydown and Sleepyhead. Wake up to views of the Sky Tower from the bed and for extra decadence coffees can be ordered by Bluetooth from the Nespresso Prodigo. There is large double wardrobe for all your clothes and hiding away luggage and shopping bags (from your Auckland retail splurge) to keep your bedroom serene and peaceful. The laundry includes both a washing machine and a dryer, and we supply EcoStore washing powder. For ease there’s internal lift access from the carpark to the apartment. Our apartment is highly accessible for these with limited mobility. The allocated carpark is close to the apartment, completely under cover from car to door, and can be done without using stairs. To top it off, the shower is a large walk in. If you don’t bring a car then it’s a short walk into the city, Wynyard Quarter or Silo Park. For getting around a bit quicker there's a bikeshare scheme nearby. If you are looking to do trips a little further afield many city bus routes are right on your doorstep and there’s the City Hop car sharing scheme just outside on Beaumont Street. 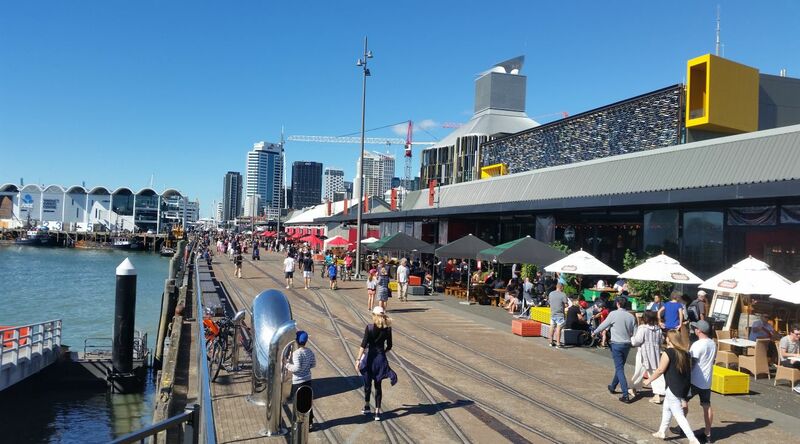 Silo park with all its restaurants, cafes, children's playgrounds, outdoor food market and food truck spaces, Auckland Fish Market, ASB theatre and Viaduct Events Centre is also only a flat, easy and interesting 1km walk away. The waterfront and marina is just 500m away, and there’s a lovely loop walk or run by the water along the boardwalks past the boats to the base of the harbour bridge, yacht clubs and cafe. You'll find an off leash dog park along the way and cafes which welcome and actively cater for your pet. Portacot (additional $5/day). We can provide Jolly Jumper Roma 2-in-1 portacots that have both bassinet and cot level. This model has passed safety tests and is recommended by Consumer NZ. We'll also provide cots sheets and blankets. Small and medium size pets are welcome for an additional $20 surcharge per night, and one-off additional $50 cleaning fee. Please contact us prior to booking to tell us details of your pet(s) and have a look at the additional requirements in the rules section. If you are bringing your pet, we'll send you details of the many suggested dog walking routes, parks, beaches and the dog friendly cafes in the area before you arrive. You will find this area of Auckland a very dog welcoming place. Access to the recreation centre including gym, pool, spa and sauna is from 5 a.m. to 10 p.m.
We will do our best to greet you at check-in. We also live in Beaumont Quarter, so we can pop over and provide assistance if required. We've created a comprehensive online guidebook of local attractions that we will send you a link to after you book.